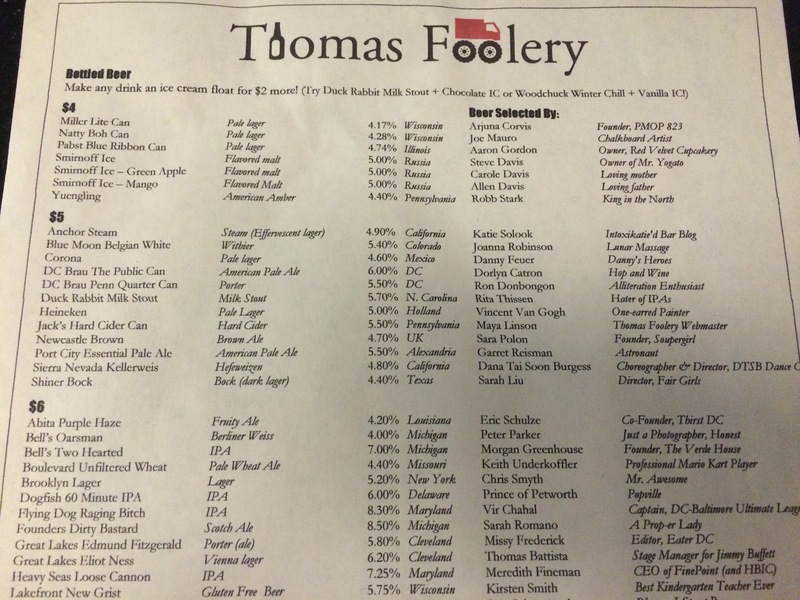 Please join Barred in DC at Thomas Foolery on Thursday, April 2nd from 6-8pm. 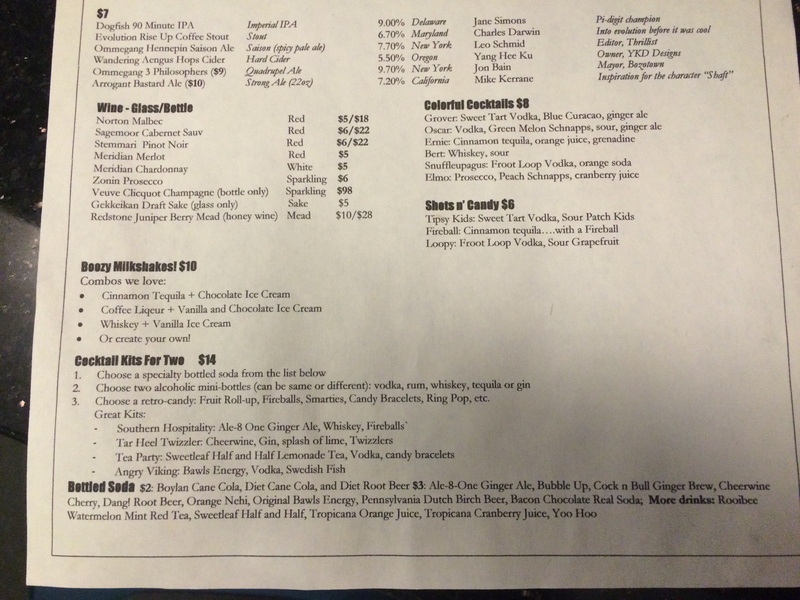 We will be behind the Dupont Circle bar guest bartending, and all tips and donations earned will go directly to support the Jeffrey Robert Satterfield Memorial Scholarship Fund, which honors Jeff, a high school classmate who passed away while as a sophomore in college at West Virginia University. 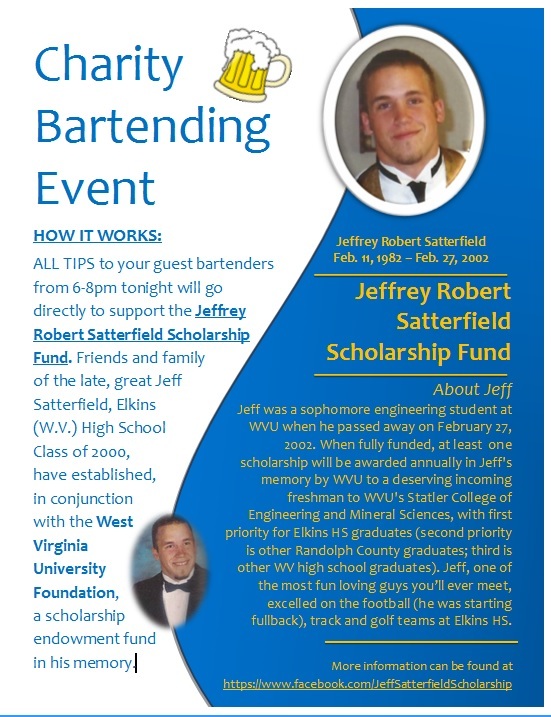 This scholarship fund, established by Jeff’s family and friends in conjunction with the WVU Foundation (full disclosure: Barred in DC is one of the two official signatories to the scholarship fund endowment agreement with WVU, along with Jeff’s brother), will annually award a scholarship (once fully funded) to an incoming student to the WVU Statler School of Engineering and Mineral Resources, where Jeff was a student. 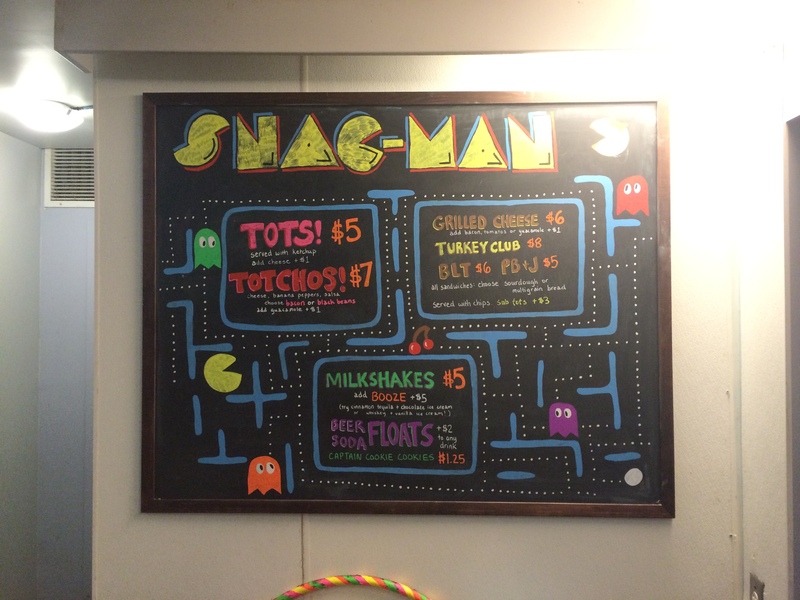 If you haven’t been to Thomas Foolery, the goofiest bar in DC (as detailed in the Barred in DC’s review from last year)-the spot has free games like Jenga and Mario Kart Wii, sells grilled cheese sandwiches and milk/cookies, along with a solid list of bottled craft beers and cocktails (often with candy in them). There’s also an “Angry Hour” till 7p where you can get a $1 off your drink if you order in an angry voice, along with a Plinko game that sets the price for any Smirnoff Ice you order. 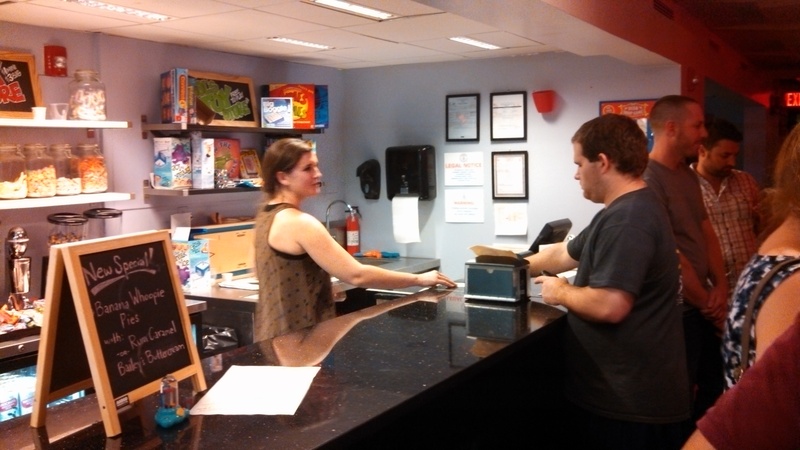 If you’d like to donate, go tohttps://www.mountaineerconnection.com/sslpage.aspx?pid=501. Next to “DESIGNATION”, mark “Other” and then note either the Jeffrey Robert Satterfield Memorial Scholarship Fund or the fund number (3Z567) in the “OTHER” and/or “COMMENTS” text boxes. You may also mail your donation to: WVU Foundation, One Waterfront Place – 7th Floor, Morgantown, WV 26501 and note the scholarship name or number on the Memo line of your check. Donations may be tax deductible; please consult your tax advisor.